Going through a divorce and establishing child custody requires a lot of preparation and paperwork. It can start to feel like a full-time job in itself, which is one of the many reasons why you should hire a child custody attorney near Owings Mills to do the heavy lifting for you. Your lawyer will guide you in collecting the evidence necessary to present a compelling argument in court. If your child isn’t currently living with you, make an effort to contact your child frequently. Call or use video conferencing software to maintain your relationship with your child, and to help him or her cope with the significant changes of divorce. Each time you speak with your child, keep a record of the date, time, and duration. Make notes about whether the other parent attempted to discourage contact between you and your child. If your child is currently living with you, you can still keep a record of contact between your child and the other parent. If the other parent doesn’t have frequent contact, the judge might think that there isn’t much of a relationship between them. Alternatively, the judge might consider whether you are discouraging contact. Family court judges frown upon contentious interactions between parents when a child is a witness. Never provoke an argument, and never contribute to one. Instead, keep a record of all the times your ex disparages you in front of your child, shows an unwillingness to co-parent, or shows signs of mental or emotional instability. Judges like to see that both parents are encouraging the child to have a healthy relationship with the other parent. If your child currently lives with you, you should support a robust visitation schedule with the other parent. If you’ve moved out of the family home, make every effort to see your child regularly. Both parents should keep records of when the visitation occurred, how long it lasted, and whether the visiting parent was late for the pick-up or drop-off. Additionally, make notes about whether the child was returned to you hungry, unhappy, or injured—or with homework incomplete. Given the consistently high divorce rates in modern times, many couples consider it prudent to establish a prenuptial agreement before the wedding. A prenup can protect both spouses, although each of them should consult their own family lawyer in Owings Mills before signing the document. If the marriage doesn’t last, a divorce attorney can offer state-specific guidance regarding the impact of the prenup on the divorce settlement. Divorce doesn’t always have to be a long, drawn-out process filled with arguments and ill will. Divorce mediation is a viable alternative, and having a prenuptial agreement in place may make mediation more likely to succeed. That’s because a prenup can take care of many of the issues that need to be settled before a divorce is finalized. Even if mediation doesn’t succeed in settling the rest of the issues, or if you and your spouse would rather not try mediation, having a prenup in place can lessen the headaches of a court proceeding. It may reduce discovery, and in doing so, reduce legal fees. It’s worth noting that most prenuptial agreements are found to be valid. If you had your prenup prepared by a family court lawyer, it’s almost certainly going to hold up in court. If you share children with your spouse, your prenup cannot legally affect child custody or child support arrangements. Co-parenting is much more than just exchanging the kids for visitation. It’s the process of working collaboratively and amicably with your ex for the sake of your kids. Divorce experts tend to agree that co-parenting is the most effective way to raise kids who are well-adjusted and have healthy relationships with both parents, despite the parents’ divorce in the Owings Mills area. Watch this quick video for some helpful tips on successful co-parenting. You’ll learn the value of reaching out to professionals, like counselors and divorce mediators. You’ll also learn that child custody and visitation agreements might be modified as circumstances change and the children grow older. Always remember to prioritize the well-being of the kids, and set aside the personal feelings you have toward your ex. Will Remarriage Affect Your Child Support Payments? In most cases, getting married again after a divorce will not affect a parent’s obligation to pay child support or the right to receive it. Since divorce-related laws do vary from state to state, you should consult a family law attorney near Owings Mills for legal guidance for your specific situation. If you are the noncustodial parent who is paying child support, you should not expect to have the payments increased solely because you remarried. Child support law doesn’t confer responsibility for the children to the new spouse. If you are the custodial parent who is receiving support payments, you should continue to receive the same amount as before you remarried, regardless of whether your household now has two incomes. Some custodial parents who remarry consider canceling the child support agreement altogether. However, it’s still the noncustodial parent’s obligation to provide for the children’s needs. If child support payments aren’t needed for daily expenses, they could be contributed to a college savings fund instead. What Are the Custody and Visitation Rights for Stepparents After a Divorce? Stepparents, in general, have an undeservedly bad reputation, despite the fact that many of them form strong emotional bonds with their stepchildren, and invest considerable time and effort taking care of them. When a stepparent and biological parent divorce, it’s usually thought that the stepparent has no parental rights. However, divorce law in Owings Mills has been slowly catching up to the modern reality of blended families. Since child custody laws are subject to change, stepparents are encouraged to visit an attorney for the latest information about their legal rights. Of course, if both of the biological parents have died around the time of the divorce, then the stepparent will also be more likely to secure custody. Although it’s challenging for a stepparent to get custody, he or she may be more likely to receive visitation. Visitation may be awarded if it’s determined to be in the child’s best interests. The court will consider whether an ongoing relationship with the stepparent will enhance the child’s quality of life. Divorce usually results in difficult financial situations, which your alimony lawyer in Owings Mills will help you sort through. You may also wish to consult an accountant when it’s time to file your tax return, instead of handling tax changes yourself. If you’re the parent with primary physical custody of the child, you’re entitled to receive child support. These payments do not have to be reported as income—you’ll receive them tax-free to defray the expenses of rearing your child. If you’re awarded alimony after the divorce , you will typically have to report these checks as income, and they’ll be subject to taxation. You might find yourself making alimony and child support payments after the divorce. In this case, your tax situation will be similar to that of your ex’s, only in reverse. 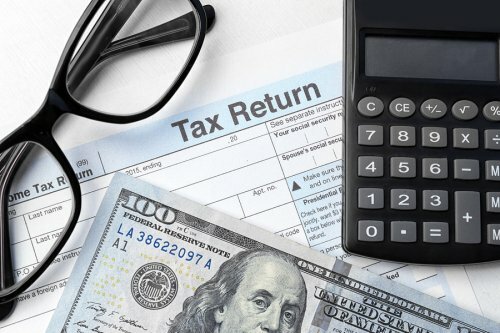 You cannot deduct child support on your taxes in order to reduce your tax liability. However, you can usually deduct alimony payments, provided those payments are made in cash, rather than property. Additionally, alimony payments must be court-ordered if they are deducted. 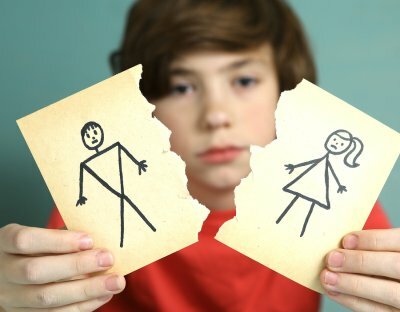 Arguably, divorce is more difficult for the children than for the parents. When you make an appointment with a family law attorney near Owings Mills, take the time to also schedule a consult with a family therapist. Even if the children don’t go to the therapist with you, he or she can help you learn how to protect your kids from the most harmful aspects of divorce. Additionally, consider divorce mediation, which may help both parents co-parent more effectively. When you watch this video, you’ll hear directly from some children of divorce. They explain what they wish their parents knew when they were getting divorced. Some of their recommendations include: Never argue in front of the kids, never ask the children to pass messages between parents, and never use the children as leverage against the other parent. No matter how simple your divorce might seem at first blush, things are rarely that easy when it comes to family law. Divorce lawyers in Owings Mills are intimately familiar with the many nuances of divorce, alimony, child custody, and child support laws. You can rely on your divorce lawyer to give you trustworthy guidance about your case and your options. If you do try a DIY divorce, you run the risk of making costly mistakes on the court paperwork, getting an unfair property division, and most importantly, losing the right to joint custody of your children. Hiring a lawyer gives you another key advantage: a buffer zone in court. Divorce cases are incredibly stressful. Even if you’ve appeared before a judge before, you’ll likely find it difficult to present your arguments effectively during such a high-stress time. Your lawyer is the liaison between you and everyone else involved in the case, including your soon-to-be ex-spouse and his or her lawyer. Despite the protections provided by domestic violence laws in Owings Mills, countless individuals have been victimized by the people closest to them. If you’re considering divorce and your spouse has committed violence or threats of violence against you, then your safety is your priority. Know that acts of violence can unpredictably escalate before victims are able to leave their abusers. Unfortunately, this has caused many victims—mostly women—to lose their lives before they can get away. Don’t wait for the situation to worsen before taking action—get the help you need today. As soon as you are able, you should report the abuse to your local police department. Call 911 if you need emergency help. When you file the report, be as specific as possible. The report should reflect whether your spouse has an ongoing pattern of abusive behaviors. It isn’t enough to simply say that your spouse broke one of your ribs. To substantiate the case, you’ll need to specify exactly what your spouse did, and what you did during the incident. Consult a family court attorney. Your spouse may react violently if you tell him or her that you’re seeking a divorce. Instead of telling your spouse first, and then getting legal help, talk to an attorney right away. Your lawyer can provide guidance on obtaining a restraining order. In the meantime, if you do go back to the shared residency, ask your attorney not to call you at home. He or she shouldn’t call your cellphone, either, if your spouse might check your call logs. Even the most carefully planned arrangements can be derailed if your spouse becomes violent again. If you or your kids are in imminent danger, your only priority is to get to a safe place. Call 911, go to a hospital, or go to a relative’s or friend’s house if necessary. The nursing staff at any hospital can direct you to the confidential location of the nearest domestic violence shelter. Stepparents in general have an undeservedly bad reputation, despite the fact that many of them form strong emotional bonds with their stepchildren, and invest considerable time and effort taking care of them. When a stepparent and biological parent divorce, it’s usually thought that the stepparent has no parental rights. However, divorce law in Owings Mills has been slowly catching up to the modern reality of blended families. Since child custody laws are subject to change, stepparents are encouraged to visit an attorney for the latest information about their legal rights.